Increasingly, digital badges are becoming a topic of discussion for educators. 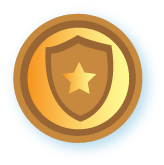 A digital badge is a digitized token of recognition for acquiring a skill, demonstrating a competency, or for sharing knowledge gained from the completion of an activity or project. As more of our learning comes by way of digital connections and contributions, badges are becoming a more prominent method of acknowledging skills and accomplishments. Many teachers readily acknowledge the importance of personalization of learning for students. Shouldn't professional development experiences offer the same promise? Ask a typical teacher to describe their PD experiences in a single word and you will likely get responses such as irrelevant or boring. Besides personalization and relevance, digital badges provide opportunities for teachers to discuss the skills and knowledge that support educational best practice, and professional growth. These conversations support the form and function of professional learning communities. Teachers that earn badges gain recognition for specific knowledge, accomplishments, or abilities. Teachers working for badges are provided opportunities to reflect, self-assess, and then engage in learning that supports steps towards clarified, teacher-driven, targets. The significance of digital badges should not be discounted. University, state, and national agencies are engaged in discussions about incorporating badges into certification processes. Educational leaders are researching and developing the criteria for awarding badges to qualified teachers. Teachers that use digital badges in the classroom are seeing how they support alternative assessments while also providing motivation for students. How can teachers learn more about digital badges for professional development? Acquire more knowledge about what digital badges are. Develop a deeper understanding of how badges can support personal and professional learning. Earn badges. OpenBadges provides a platform to earn and issue digital badges. For example, I acquired this "Badges-101" badge in a matter of minutes using Mozilla OpenBadge. Create digital badges. Web applications, such as Credly and Makebadges, can help create badges based upon design and specified criteria. Our learning management system, Schoology, provides the capability of creating and issuing digital badges. Learn more about creating badges from awesome PLN contributor Alice Keeler. I am proposing digital badges as part of a distributed professional development model for our district. District personnel would earn badges for demonstrated competencies related to innovative teaching and contributions to adult and/or student learning. For example, a teacher that is also a Google Certified Trainer would earn a badge acknowledging their Google Apps expertise. A display of digital badges would provide a visual identifier and a contact to those staff members wanting to learn more, in this case, about Google Apps. 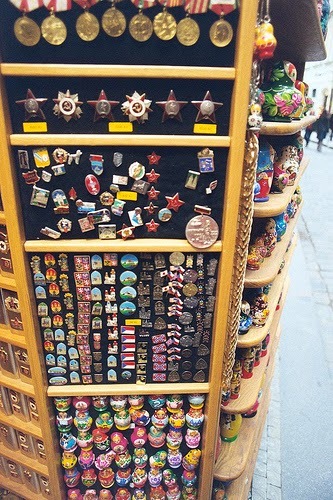 Where do digital badges already exist, and how can they be obtained? How can staff members earn badges? What criteria will be used to issue digital badges for professional development? Will the badge criteria be aligned with any other recognized standards of learning or professionalism? How will be digital badges be distributed and displayed? How can our teacher experts provide support of learning beyond the confines of our district? Combining professional learning with digital badges means that we can identify and recognize specific skills, achievements, and competencies. Acknowledging personalized, individualized skill sets can create an environment of professional development distributed across an entire staff, and hopefully, across an entire community. Digital badges help differentiate and socialize learning through simultaneous independence and interdependence. The intention of this post is to help crystallize my thinking on this topic, as well as, to generate conversations about strategies for making teacher professional development more personalized and relevant. Are digital badges for PD a good idea? If you have answers to any of my burning questions, or you would like to engage in a conversation about digital badges for teacher professional development, please use the comment section to kick start our learning. I Don't Get Digital Badges - Jackie Gerstein, Ed.D. Thanks for a clear explanation of your thoughts on badges and the links. In our #clmooc last summer, we earned a badge for contributing to the project bank. When it was approved, we then were asked to help review and approve other applicants. Because of this experience, I can see that "assessment" could be layered for just such peer review, and could encourage the idea that we are all learners, becoming experts in spots. Thanks for sharing this post about PD and badges. I am glad to see badges starting to gain traction in the K-12 arena, especially for teacher PD. Great article! My PLN, #teachSDA (specifically but not limited to Seventh-day Adventist educators), began using Credly to give badges to our weekly-chat attendees. Here's the article we did over it! I read about this here..
Badges are nice. It helps one stand apart from the crowd. Google certifications for educators are also great. Do you see any differences between Open Badges and Digital Badges? I have read a lot about the importance of baking in evidence and ability to take them elsewhere etc ... Do you consider this important Bob? Thanks for your question Aaron. The concept of badges is the same, but the lack of consistent, embedded credentialing is an issue. Ideally, as your question suggests, the portability and transfer from one media to the next is what provides value to the badge. With Alice Keeler's direction, I've been creating badges in Google Drawings. I also award badges to students within our LMS environment, Schoology. With the recognition of skill sets and achievements appealing to so many, the time is right to make advances with badges. I feel a post coming from you soon!